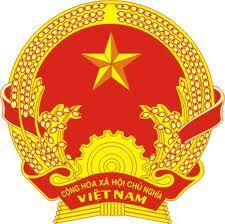 Traveler with Armenia nationality need Vietnam entry visa for their trip to Vietnam. There is no Vietnam Embassy/Consulate in Armenia so Vietnam visa on arrival is the best way as it save time and money for travelers. Բոլոր օտարերկրացիները, ովքեր ցանկանում են այցելել Վիետնամում պահանջվում Վիետնամի մուտքի վիզա բացի քաղաքացիների ունեցող երկրների երկկողմ համաձայնագիր վիզայի ազատվելու հետ, Վիետնամում, ինչպես օրինակ, շատ ASEAN երկրների, Կորեա, Ճապոնիայի, Ռուսաստանի Դաշնության եւ Սկանդինավյան երկրներում. Տես երկրներին, որոնք ազատվում են Վիետնամի վիզայի.